not to blog about, literally! A huge parcel greeted me when I got home from work today and inside, this! My runner’s up prize for my poem, ‘Great grandma’s house’, appearing in the July edition of Writers’ Forum. I put the pen there to demonstrate its size, all 1114 pages of it to hold 420,000 synonyms and antonyms. Wow! And it’s packed full of little extras too, my favourite being a section called The World Lover’s Gallimaufry (now there’s a new word! ), which has useful tidbits like 30 words to sound more posh, e.g. ‘frightfully’ and ‘awfully’, and 23 words and phrases to avoid in politics, such as ‘big society’ and ‘fit for purpose’. And then did you know there are 19 ways to tell someone to hurry up and 15 ways to express enthusiasm?! The best though is 40 words to use to sound more poetic – ‘daystar’ (the sun), ‘fuliginous’ (sooty) and ‘periculous’ (dangerous). Think I’ll be slipping some of those into conversation. 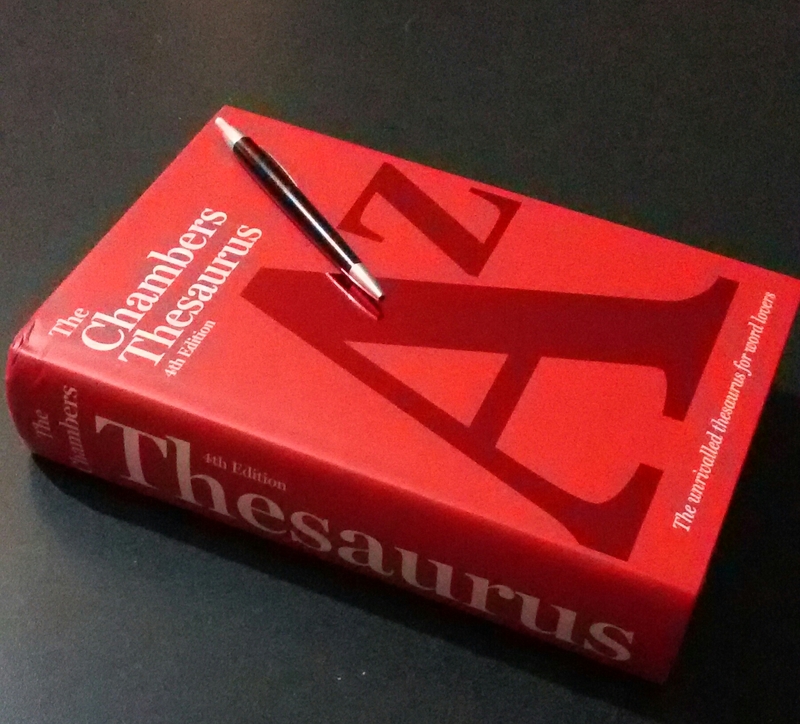 So a huge thank you Sue Butler, poetry editor of the monthly magazine, for publishing my poem and for this fifty pounds worth of thesaurus, which at 2.2kg couldn’t have been cheap to send to the other side of the world. I am ‘agrin’ (the act of grinning).